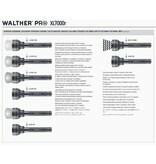 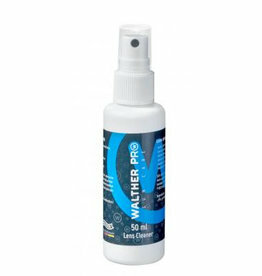 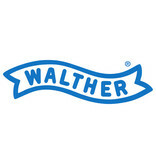 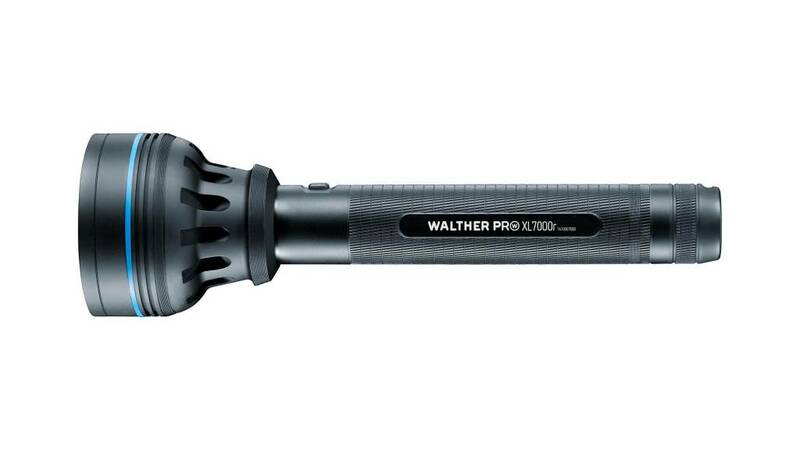 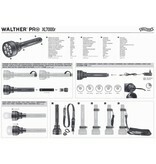 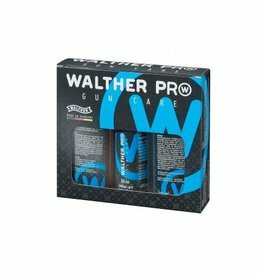 You can also use the largest Walther Pro lamp as a spot for theater and film. 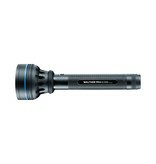 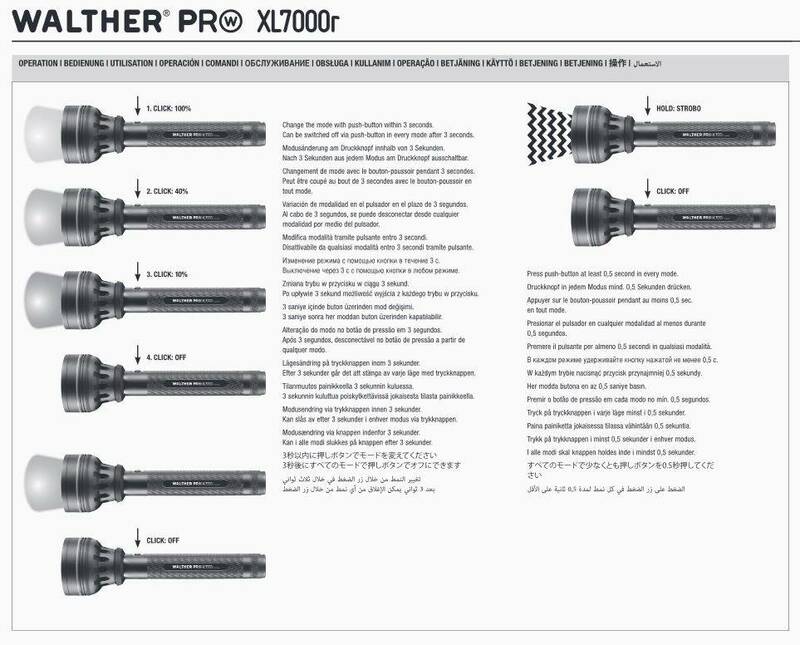 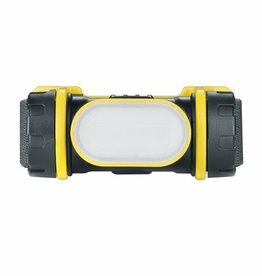 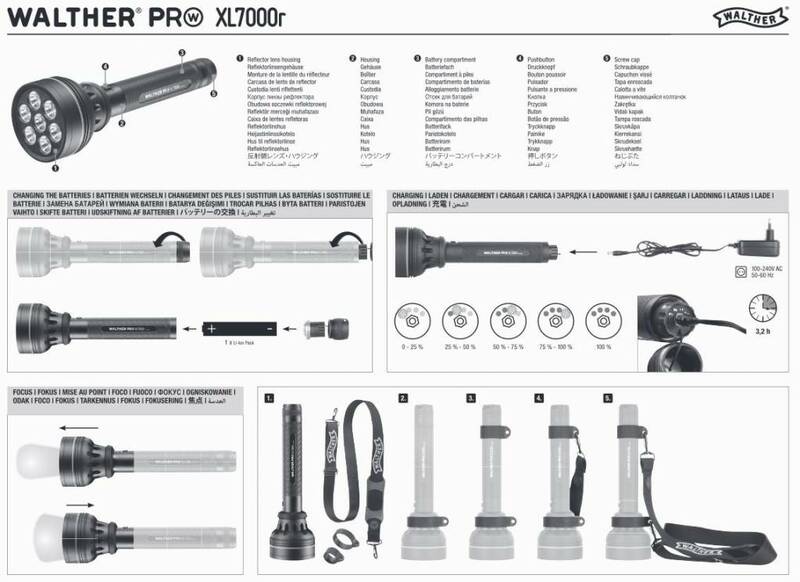 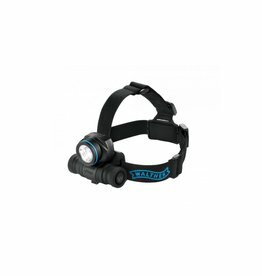 With 2,200 lumens of light output from 7 (seven!) 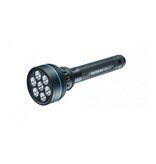 High-power LEDs, nothing remains hidden here, even at the widest distances. 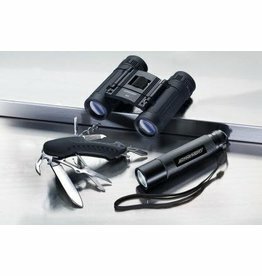 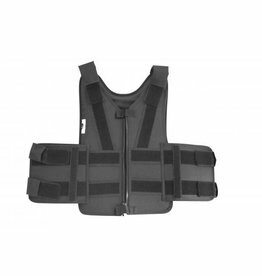 Operated is the amazingly handy XL7000r with a battery pack including charger. 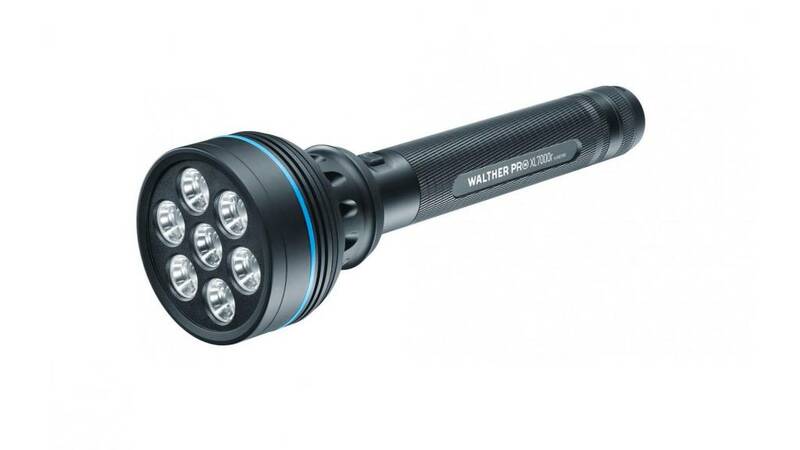 So the XL7000r can be charged comfortably, four blue LEDs serve as a charge indicator.